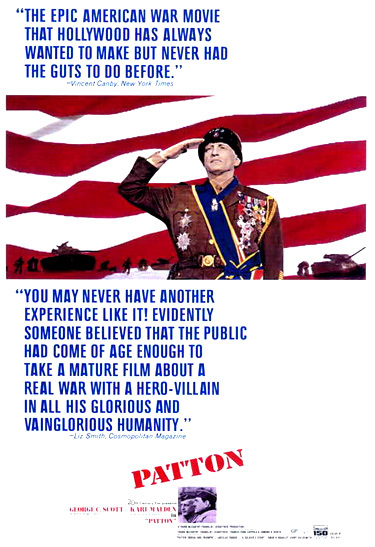 GEORGE C. SCOTT in "Patton", Melvyn Douglas in "I Never Sang For My Father", James Earl Jones in "The Great White Hope", Jack Nicholson in "Five Easy Pieces", Ryan O'Neal in "Love Story"
GLENDA JACKSON in "Women in Love", Jane Alexander in "The Great White Hope", Ali MacGraw in "Love Story", Sarah Miles in "Ryan's Daughter", Carrie Snodgrass in "Diary of a Mad Housewife"
JOHN MILLS in "Ryan's Daughter", Richard Castellano in "Lovers and Other Strangers", Chief Dan George in "Little Big Man", Gene Hackman in "I Never Sang For My Father", John Marley in "Love Story"
HELEN HAYES in "Airport", Karen Black in "Five Easy Pieces", Lee Grant in "The Landlord", Sally Kellerman in "M*A*S*H", Maureen Stapleton in "Airport"
FRANKLIN SCHAFFNER for "Patton", Robert Altman for "M*A*S*H", Federico Fellini for "Fellini Satyricon", Arthur Hiller for "Love Story", Ken Russell for "Women in Love"
the outrageously-irreverent, subversive black comedy and bloody anti-war film satire by director Robert Altman - a pre-cursor to the popular TV series, titled M*A*S*H (with five nominations and one win - Best Screenplay Adaptation by Ring Lardner, Jr.) about a group of medical personnel at a Mobile Army Surgical Hospital during the Korean War. Three of the five Best Picture directors were also nominated for Best Director honors. The award was presented to Franklin Schaffner (with his sole nomination and Best Director win) for Patton. He defeated Arthur Hiller (with his sole nomination) for Love Story, and maverick Robert Altman (with his first of five unsuccessful nominations as director) for his break-through film M*A*S*H. The additional two directors (whose films were not Best Picture nominees) included controversial Ken Russell (with his sole nomination) for Women in Love, an exploration of two destructive love affairs. And Federico Fellini was nominated for his visionary, grotesquely decadent interpretation of ancient Rome based on Petronius' novel Satyricon in Fellini Satyricon (the film's sole nomination), a film about two young men's adventures through decadence. John Mills (with his first and sole nomination - and only career Oscar) was a surprise winner in the Best Supporting Actor category. He won for his role as Michael - the mute, gentle, mis-shaped village idiot in Ryan's Daughter, who is saved from the Irish village's anger by the priest (Trevor Howard). It was Mills' fifth film for director David Lean (he appeared in Lean's In Which We Serve (1943, UK), Great Expectations (1947, UK), This Happy Breed (1947, UK) and Hobson's Choice (1953, UK)). His award was not so much for his performance in Lean's film but a 'career Oscar' for many fine, but un-nominated performances. 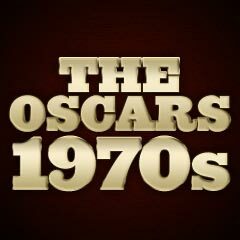 [His daughter Hayley had received an Honorary Oscar award ten years before.] Mills' win made him the first 'silent' winner in the sound era - and he appropriately accepted his award in silence. This was the notable year in which the English pop group the Beatles received their sole Oscar win - Best Original Song Score for Let it Be (1970). However, they were not present at the awards ceremony. In this year, Lillian Gish received an Honorary Oscar "for superlative artistry and for distinguished contribution to the progress of motion pictures") - it was her only Academy laurel. (She had received only one nomination during her entire career, a Best Supporting Actress nomination for Duel in the Sun (1946)). In addition, enfant terrible film-maker Orson Welles also received an Honorary Oscar "for superlative artistry and versatility in the creation of motion pictures." His only career nominations were for his debut film, Citizen Kane (1941) - as Best Actor, Best Director, and Best Original Screenplay (a co-win with Herman J. Mankiewicz). Many of his films were neglected by 'Oscar', such as The Magnificent Ambersons (1942), The Lady From Shanghai (1948), and Touch of Evil (1958). Iconic Swedish film-maker Ingmar Bergman received the Irving G. Thalberg award for his long career of making contemplative and oft-times bleak sagas set in his native land. During his career, he made 56 films, of which three won Best Foreign Language Film Oscars (The Virgin Spring (1960), Through a Glass Darkly (1961), and Fanny and Alexander (1983)). He and his films received nine other nominations, including three for Best Director (Cries and Whispers (1973), Face to Face (1976) and Fanny and Alexander (1983)), four for Best Original Screenplay (Wild Strawberries (1957), Through a Glass Darkly (1961), Autumn Sonata (1978), and Fanny and Alexander (1983)), one for Best Adapted Screenplay (Cries and Whispers (1972)), and one for Best Picture (Cries and Whispers (1973) - only the fourth foreign-language film to earn an Oscar nomination for Best Picture). As in the previous year, two more westerns were ignored in virtually every awards category: Sam Peckinpah's The Ballad of Cable Hogue (with no nominations), and Arthur Penn's Little Big Man (with only one unsuccessful nomination for Best Supporting Actor). This was amazing, in a year when two of the five Best Picture nominees were the weakly inferior Airport and Love Story, both with a large number of nominations in many categories. Dustin Hoffman's lead performance as Jack Crabb in Little Big Man went unrecognized by the Academy, as did Richard Mulligan's role as arrogant Gen. George A. Custer, and Faye Dunaway as the beautiful, manipulative, and sexually-obsessed reverend's wife Mrs. Louise Pendrake. There was no recognition for Jason Robards as Cable Hogue and Stella Stevens as Hildy in The Ballad of Cable Hogue. Director David Lean's Ryan's Daughter, his first film since Doctor Zhivago (1965) (and his second-to-last film in his career) was not nominated in the Best Picture or Best Director categories. Bob Rafelson, the director of Five Easy Pieces (with no wins!) was also not nominated as Best Director, nor was Susan Anspach nominated in a supporting role as the sister-in-law of self-loathing renegade Bobby Dupea (Jack Nicholson). Jennie Linden was not nominated for her role as Glenda Jackson's sister and schoolteacher Ursula Brangwen in Women in Love. Neglected also were the acting performances of Ben Gazzara as Harry in director John Cassavetes' improvised, cinema verite Husbands (with no nominations), Tony Lo Bianco as criminal opportunist Ray Fernandez in the low-budget crime film The Honeymoon Killers (with no nominations), and George Segal as desperate young lawyer Gordon Hocheiser, the victim of a nagging, senile Jewish mother (un-nominated Ruth Gordon as Mrs. Hocheiser) in Carl Reiner's black comedy Where's Poppa? (with no nominations).